If you have read any of my other articles about the use of the local languages or English only approaches to Indigenous education (pt1, pt 2) then you will already know how I feel about such a dis-empowering approach to education. But what is most troubling is that a large portion of Territorians and other Australians seem to support the rhetoric expressed by the minister Marion Scrymgour. She argues that Indigenous languages have no place in teaching literacy and numeracy in schools, and therefore the first 4 hours of every school day must be in English. After talking to a few people, and media watching on the issue, it seems that support for the Government’s position is based on a few misunderstanding about the learning that is actually happening on community. Let’s briefly explore the reality behind these assumptions about the bilingual and remote community schools this policy will most effect. Misunderstandings about literacy education on remote communities. The children in remote and bilingual schools are not being taught English. Reality:The children on remote communities and in bilingual schools are taught English and grow up with the ability to speak English and write english. The problems are that many have a limited vocabulary, poor written literacy and numeracy skills. Reality: Bilingual schools are unable to train, and thus do not have, specialist teachers who know the local Indigenous language. You would be forgiven for thinking it should be otherwise. They are provided with funding for only one linguist and the rest relys on the linguistic skill of locally employed indingeous teacher aids who recieve little additional training. Children in remote communities are not being taught in English. Reality: English is the language spoken by almost all teachers in remote Indigenous classrooms already. If there is any education using the local language, it is provided by Teacher Aids from the local community. Conssequently at least 50% of education has been taught in English for the last 30 years. Teaching in english has not help indingeous kids learn to speak or read english well. Someone out there wants to stop English being taught. Reality: No one, including Indigenous groups, have argued against Aboriginal and Torres Strait Islanders being taught English. Aboriginal people have always asked to be taught English. The forcing of teachers to use English in the classrooms is new policy that has not been tried before. Reality: This is not the first time a policy like this has been introduced. The education department introduced a policy of English only education (100% of the time) about 4-5 years ago. It did not apply to bilingual schools, but in a number of bilingual schools new priniciples encouraged the use of english in class rooms. Schools that currently use english only models did not perform better than the bilingual schools in recent tests. The current thinking in the NT and around Australia seems to be that the best way to teach a new language is to force people to listen to it as much as possible. Reality: Such an approach only works if the student is immersed in the language and removed from peer groups that speak their first language That is, for immersion to be successful at teaching English, the kids must be taken away from their families and friends – Australia has been there done that, No thanks. Reality: We do not use this approach when we teach foreign languages to English first language speakers. Have you ever learnt French or Indonesian at school or university. What do we do? We teach the new language using the student’s first language, English. Why? Because language acquisition is fastest if it is charted in the first language – eg. djugu = contract, guyaŋa = think… you just learnt 2 new words in a new language using your first langauge. Untill the student has a good grasp on the langauge we must use structured programs that teach English using the language the students already know. Why don’t we do this in Indigenous schools? 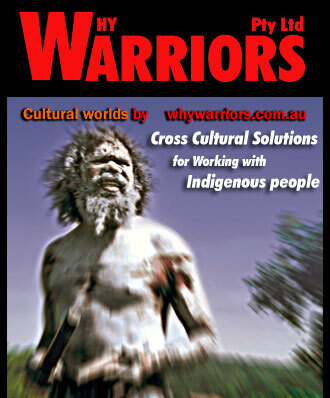 Indigenous languages are not powerful or accurate enough to teach difficult English concepts. We have to do something. We have tried almost everything. Reality: The one policy no government has ever implimented to solve low literacy and numeracy rates in Australian remote Indingenous schools is the training of EFL teachers to use local Indigenous languages to teach english and other subjects. This would enable true bilingual education rather than what actually happens today. Considering that mainstream support, rather than research and local community knowledge, tend to drive government policy it is possible that these misunderstandings or assumptions are driving the current push to once again force english only environments on children in remote Indigenous schools. I hope this clarifies the issue for you and helps you to explain some of the issues to others. Another aspect of this – I’ve been working with minority groups in Northern Thailand that are taught at schools in Thai language (not their mother tongue). One night while staying in a village and having a long talk to a friend of mine (an Akha girl for those that know the ethnic groups in this area) – she told me that she was unable to talk about complex subjects with her parents. Her parents can speak enough Thai to go to the markets, etc, but they didn’t go to school and learn Thai and so don’t know complicated words. My young friend on the other hand, could speak everyday Akha; but because her childhood days were spent at the government school using Thai language, she never learnt Akha words for complex subjects. So – her generation is in the situation that they can only have ‘everyday’ conversations with their parents but not discussions about complex matters. So, this is what the government policy in Australia is doing – it is another way of crushing local cultures, as the kids will not have full language ability to learn from their parents. Carrie I am very interested in your comments. Could you explain what you mean when you stated that the ‘bi-lingual approach of the past 20 years did not enable them to learn’ – wouldn’t this be part of the argument for not encouraging bilingualism in schools now? Appologies for the delay in posting comments. I have been out of the country. Comments will post automatically in the future unless picked up by spam filter. I have worked in a remote community for a bit over 2 years in a primary school. Having learnt some language has been helpful in the classroom, and having stayed longer and developing a relationship with my students has benefitted my ability to teach them even more. The problem is that there is no-one who wants to teach language formally to a group of willing teachers. We are left to our own devices, and pick up as much as we can that generally amounts to nouns, some verbs and behaviour management phrases. And the upcoming Teacher Assistants have very little or no literacy in either language because the bi-lingual approach of the past 20 years did not enable them to learn. Totally agree community based training of local adults is probably even more important that training of non-Indingeous school teachers. I believe the absolute best appraoch is to teach the adults to teach their children. But, we must remmber that trainers/educators for Indingeous adults will also require extensive language and cross-cultural training to be effective. I suspect that training non-indingeous teachers in the local language would lead to significant improvements in retention rates of teachers and facilitate non-indingeous and local indingeous teachers to train and support each other better. Yes it would be most helpful if non-indigenous teachers learnt an Indigenous language. Some do of course, but most seem to see it as irrelevant to their work with Indigenous language-speaking students. A bizarre belief in my opinion! The other side of the coin of course is that if local Indigenous teachers once again had the opportunity to study Teacher Education courses in a community-based mode, dependence on the “plastic bag” white teachers (hang around for awhile and then blow away!) would decrease and eventually disapppear. Then we would really see some results! Already we know that almost half of the feted Commonwealth teachers ( 20 so far, trained for 10 weeks) have left the NT after less than a semester. Assuming the other 190 go the same way, I keep asking myself why do we keep assuming more of thr same will change the current unsatisafctory results?? I’m a full supporter of skilling up non indigenous teachers on communities to learn an indigenous language. In fact, I think all govt (and other agency) staff should be encouraged and (financially) supported to learn an Indigenous language. By doing this we can build a whole new layer and type of workforce to work with Indigenous people, in their language, towards the discovery of knowledge together. Keep plugging away, your tenancity and vision is nothing short of miraculous.